This 6oz hip flask has a slightly more feminine design. It is a floral pattern with an oval engrave area (that resembles a mirror) in the center front. 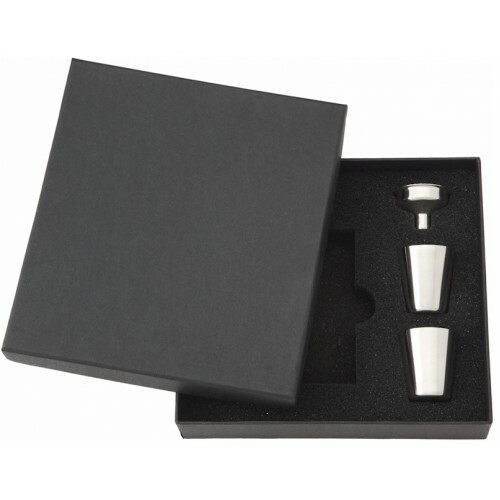 The flask is embossed by stamping the inside before making the flask which raises the design on the outside. 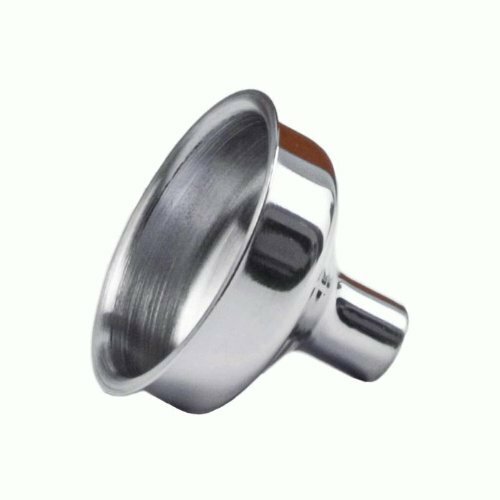 This process produces a very high quality design that can be felt while holding the flask. The middle engrave area can be etched with just about any text you want as well as some small images. 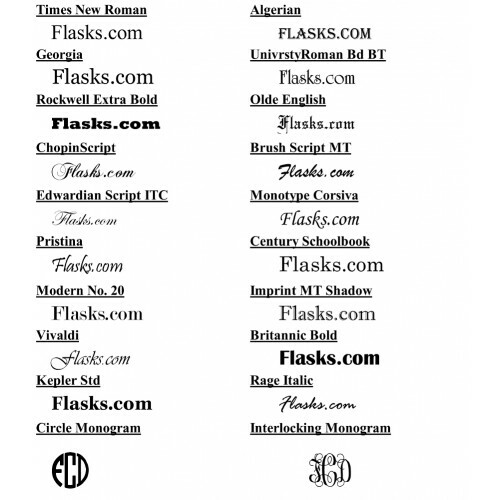 Most buyers use 2 lines of text with a name or title such as "Bridesmaid". This flask is typically purchased for weddings and other formal events but makes a great gift for just about any occasion. 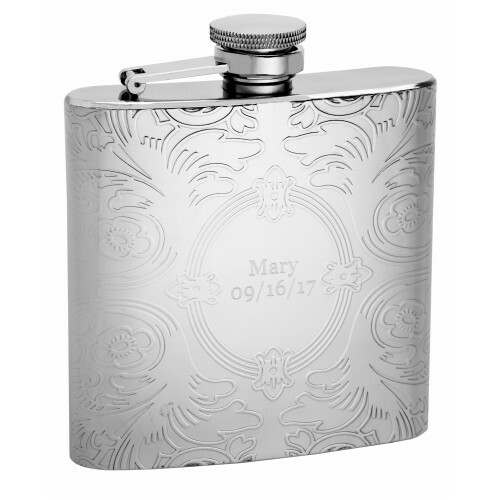 The high quality and personalized engraving combined with the fact we sell this flask lower than any other supplier make this hip flask a great value!